Lectura Para Niños : Back to school iPad Mini Giveaway! 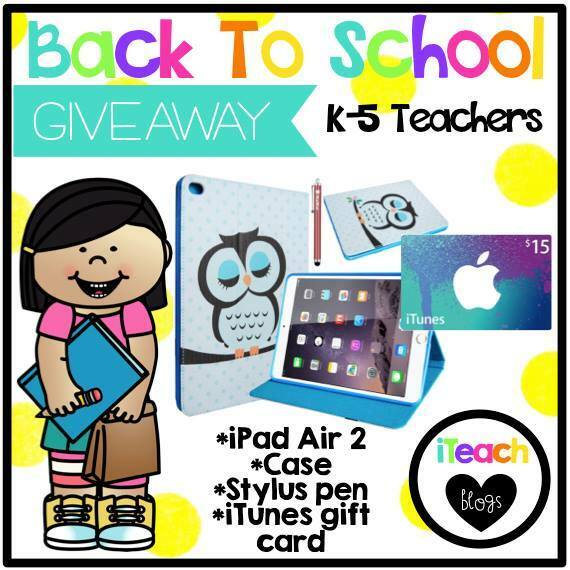 Back to school iPad Mini Giveaway! Before you enter, here are a few of my favorite iPad apps! The iLearn with Series comes in English, Spanish, and French. There are 11 apps that you can purchase in all 3 languages! These are perfect for a Bilingual/Dual School! If you click on the picture above, you can discover more! Here is a link to the Spanish apps on iTunes. I hope you enjoy them as much as my students have! Please click on the picture below to take you to the i Teach Bilinguals Back to School giveaway! The contest will run from August 2-8. The winner will be announced on Sunday, August 9. I am so excited to be a part of this! I hope you all take time to enter and share this post! I also hope you all have a great first week back in school! Our first day back is August 17!